Today was a day of epic proportions, for more than one reason. 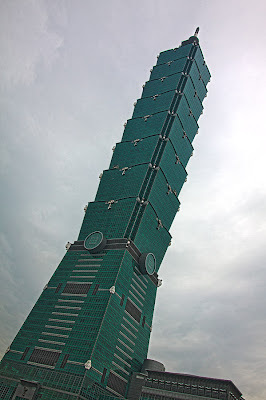 Not only did we do an epic amount of walking, but we also climbed the tallest building in Taiwan, Taipei 101. The view was amazing, although there was fog covering the most of the mountains in the distance. It was a refreshing break to get out and get some exercise, and also get some more bubble tea! This morning, David Lukachick led our group wisdom search with a study on Jehovah-rapha, our Healer. He talked about each aspect of healing our God provides, but specifically referenced bitterness and how it will affect our lives if we refuse to acknowledge it and surrender our hearts and will to His control. Teaching from Exodus 15:22-27, he talked about how the bitterness that is in our lives can be turned to sweetness, just like the waters of Marah. Please pray that the teachers will have strength and that the children will be able to listen and remember what they are taught. Pray for the sleep we are able to get to be solid and rejuvenating, and pray that we would mutually encourage one another all day long!